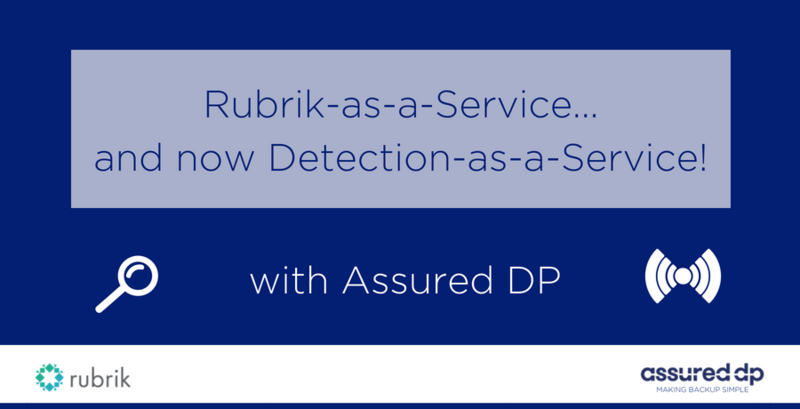 Our team at Assured DP have been working with Rubrik since the very early days. The 3 years of our involvement have seen growth in both our organizations on the back of our expertise. A traditional cloud backup model where we deploy a Rubrik appliance on our customers’ premises, and securely replicate that data to our own data centers in the UK and the US. This model allows us to recover complete customer environments (in some cases 1000’s of servers) onto our own infrastructure and allow secure remote access to the restored environment in the event of the disaster. We have answered the often-tricky question of “Now you’ve restored my servers onto your infrastructure, how do I access them?”. We have a fully secure and integrated virtual desktop gateway into our infrastructure, meaning our customers and their users have a seamless experience. This is also extremely valuable for testing DR in a non-pervasive way. We have secured customers across the globe … as a service… in every imaginable sector, such as Financial Services, Healthcare, Manufacturing, Professional Service… you name it, we now offer Rubrik As A Service to them all. The future… Detection as a Service. With the launch in late July of Radar, the next phase of the Rubrik Polaris roll out, we are already looking to the next generation of Rubrik services we can offer. Imagine now that as well as protecting customer environments, and restoring those securely when required, the launch of Radar means that we now have the capability to proactively recognize ransomware attacks for our service customers. We can now immediately notify them of the breach and mitigate any loss of data by restoring their environment back to the most recent clean snapshot. Not only can we now mitigate in the event of a disaster, but we can help with detection too. …as a service using Rubrik is the future! This entry was posted in Backup, Data Protection, Ransomware, Rubrik and tagged AaaS, Assured DP, Backup, Data Backup, Data Management, Data Protection, Database, disaster recovery, DraaS, Platform, Polaris, Rubrik, SaaS, Simple, Simplicity.